Welcome to Top 5’s where your host decides what their top 5 picks are. You might agree with them, you might disagree with them, but the fact of the matter is you’re watching them. This weeks episode we take a look at the top 5 reasons weekend warriors are the most core snowboarders. Someone is going to get offended. Buy from these online retailers, we need money. Yes, I am a Weekend Warrior. I save up lots of leave over the Summer and Fall and when the pow hits, I *cough* get ill and enjoy Weekday shred. I live in Denver and can’t wait until the day comes when I get to rise out tha hood and move to the mountains. Just need full telework and my dream will be a reality. Especially if some rube will buy my house for half a million bucks and give me a down payment for a crib in Leadville. I cannot wrap my head around how people make it in Summit County and not be in the 1%. Prolly who you know. I’m one of those weekend warriors and thanks for the shoutout. I took my family for MLK hoilday to Stowe Vt and had a blast on the Burton Branch Manager that you recommenced. 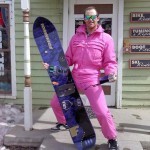 Stowe had a load of snow and I was able to unlock its powder goodness and leveled up to true Rad-Dad status. Awesome board and thanks again for the great recommendation. You and Kevin keep up the good work. You guys are awesome. Thanks for the shout out. 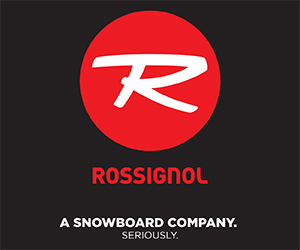 Next season, I’m saving some money…my 14 year old will be riding my old board. Come on junior! I don’t care if you’re 5’10” 115 lbs! Grab that 164 Yukon from 1999 and lets go! Thank you for describing me perfectly from about 1:35 to 1:45. Ok – just finished three days riding in Niseko which was my first snowboarding trip since 2009! Japanese wife wanted to spend New Year with her family so I was lucky enough to get a pass and leave her with the kids for a few days. Needless to say I was riding from first lift until dark. I was pretty crook too still getting over the flu but it was awesome regardless. One day at lunchtime I was getting a coffee from the welcome centre and there was a dude there asking me when the next bus leaves, and I’m like ” What, are you going home already?” He’s like “Yeah, it’s all skiid out”. This was during the heaviest snow of the season too and it was powder city. And he was only visiting for three days too! WTF!